You are here: Home / Converting / Does Highlighting Zero Savings Help Close More Sales? But… where do I find one? It’s always a good idea to provide simple instructions on completing fields. In this case, though, Kohl’s called great attention to the fact that I have not yet entered anything that would save me money. What are the chances I’ll head over to Google to try to find a coupon code? And what are the chances I’ll get distracted and wind up purchasing the same or similar item elsewhere, or not at all? I’d be interested to see the results of A/B tests on this function. 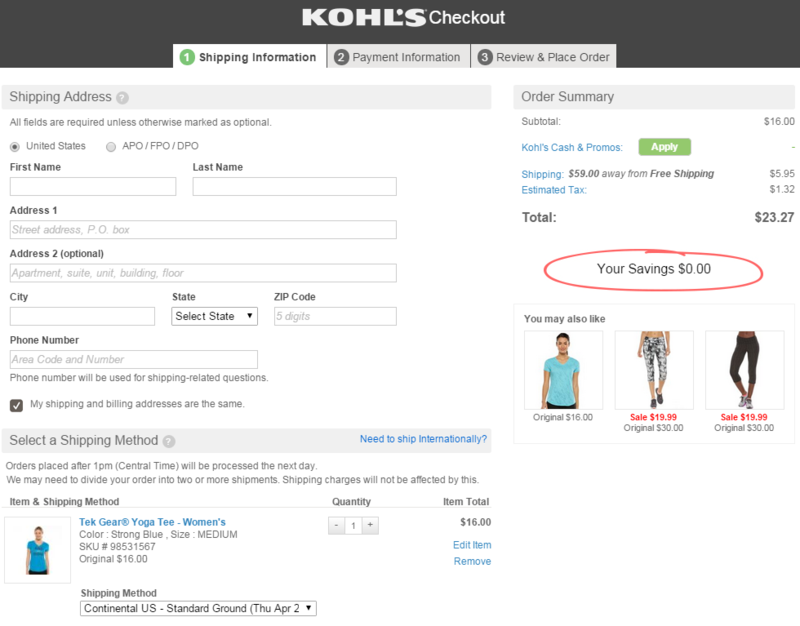 Chances are Kohl’s doesn’t lose a great deal of conversions, but for the small business site, this type of practice could have an entirely different effect.